Workplace Insanity: Dignity, Respect, Compassion - What a Concept! When people accept a job at a new company, they look forward with anticipation to a workplace environment where their contributions will be accepted, valued, built upon and improved, and where they will be able to work cooperatively with others with similar desires and aspirations. They anticipate a place where people work together to build something bigger than the sum of their parts, where they can become not just workmates, but friends. There are many workplaces that foster such a healthy environment, but there are also many workplaces where the workplace environment is unhealthy, and many more where it is somewhere in between. The difference between healthy, unhealthy, and in-between workplace environments is usually tied to how those organizations treat their people. 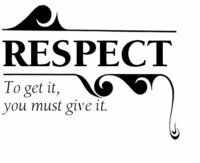 Treating people uniformly with dignity (esteem, worthiness, honor), respect (regard, admiration, veneration), and compassion (empathy, sympathy, love) is often a prime differentiator. What kind of workplace environment does your company have? Is it one where people enjoy working together and look forward to coming to work? Is it one where people happily and willingly come together to create products and services that the company’s customers want to buy? Or is it one where people drag themselves to work just to do what is necessary to earn a paycheck; one where they do only what is necessary to survive; one where they work begrudgingly with others only because they must, and do only what they are told to do? Or is it somewhere in between? A healthy workplace environment can be a thing of beauty and something to behold (see Pigasus – When Pigs Fly!). It is one where people laugh often, as humor shows signs of comfort and joy in work. It is one where there is a free sharing of ideas, clear expectations and clear understanding of what’s expected of people and how they should behave, including following established professional values and codes of conduct. The workplace is comfortable and orderly with strong connections between coworkers. Frivolous demands and activities are minimal. Key to the workplace environment is that all people are treated with dignity, respect, and compassion; that everyone treats others as they would have others treat them, basically the golden rule for the workplace. If you see these values honored, you are fortunate indeed. Take a moment to savor the values that your organization has. An unhealthy workplace environment can also be something to behold, but not in a good way. The workplace can sometimes be a brutal place, with ruthless demands for delivery of results on nearly impossible timeframes, living in a constant state of ‘crisis’, uncalled for personal attacks, and disrespect and lack of common decency (see Floggings Will Continue Until Morale Improves!). An unhealthy workplace environment is one where laughter is a foreign concept, where people keep their ideas to themselves, afraid that their ideas will be stolen by others (see Stolen Credit – It’s Not Just About Credit Cards!). It is one where distrust, anger, vindictiveness, constant tension, and petty squabbles abound. Poor communications and eroding goodwill are evident. People, groups, and/or organizations are often at each others’ throats, or pitted in ‘competitions’ against each other for ‘sport’; virtual cage matches where two go in, but only one comes out. This may be intentional, sometimes not. It is often unthinking, due to flares of temper in response to hurtful words thrown out on the spur of the moment. When people step back, they are often appalled by their behavior, but afraid to admit what they’ve done or said for fear of being seen as weak. This description is clearly extreme (and depressing), but dignity, respect, and compassion are not part of the equation. It quickly becomes a soul-destroying environment in which to live (see Workplace Burnout: Been There, Done That – Learn From It!, Self-Destructive Behavior, Know When To Fold ‘Em, and When It’s Time ‘To Walk Away’, Don’t Turn Back!). Your workplace environment, healthy or not, may not be a function of the company as a whole, but of the specific organization or group you are in within your company. A company where there is uniformly healthy behavior across all organizations and groups is worth its weight in gold, and unusual. Subsets of organizations or groups within a company with healthy behavior can make life happy, acceptable, or bearable to those in them to the extent those organizations or groups can operate largely on their own. But very few organizations or groups operate independently, and when they, of necessity, interact with other organizations or groups that exhibit unhealthy behavior, it is not always obvious whether healthy or unhealthy behaviors will win as the workplace environment that results when they come together. Fight for your healthy behavior, but recognize that it may become a fight. Most reasonable employers actively encourage treating people with dignity, respect, and compassion in the workplace, at least in principle. They do this simply because it’s the right thing to do; to treat others as you would have them treat you. They may or may not publicly advocate it, or establish formal policies. This is at least a start. Some companies recognize the value of treating people with dignity, respect, and compassion and establish formal policies with such behavior as a key element. One I’m aware of has established specific priorities to build trust through collaboration, working with others to find solutions and take action by increasing opportunities and effectiveness with internal and external relationships by focusing on treating colleagues, internal and external, with dignity, respect and compassion. This company even measures their people against these priorities as part of their performance review process, putting their money where their mouth is. They realize that treating others with dignity, respect, and compassion doesn’t just make sense from a personal perspective, it also makes sense from a business perspective, recognizing that if people are to work together effectively, they must feel valued. If your company does not have such formal policies, perhaps they should. Critical to building a healthy workplace environment is communication, informal and formal. More communication is to be encouraged, including one-on-one conversations, small discussions with key players, group discussions, inter-group discussions, larger department or company-wide meetings. Try to gain an understanding of misperceptions, misunderstandings, differences in opinion and their causes. Try to uncover the underlying root causes beneath symptoms and surface appearances; what’s really going on rather than what appears to be going on. Without an understanding of the root causes of problems and proper ‘diagnosis’, you are unlikely to come up with permanent ‘cures’ or sustainable solutions. Recognize that such solutions may require changes in your own behavior. So what can you do? Give encouraging kind words to employees who need them. Listen and really hear what they are saying (especially when others are not), and help to turn their useful suggestions, that appear to be falling on deaf ears, into reality. Show empathy and sympathy to an employee and his/her family when the situation calls for it, going out of your way to be of help in a time of stress or need, and be supportive when it appears others are not. Help to create a healthy workplace by always doing your best to be a good person when it is really needed. The reward will be employees who work harder and give their all to help the company that helps them grow and prosper. A healthy workplace environment is clearly something to aspire to. It takes hard work, but the rewards can be great. Essential to such an effort is the need to treat others as you would have them treat you. Treat everyone you interact with with dignity, respect, and compassion. What a concept!